It’s a little unusual for a city, just two years after the massive room build-up that accompanies the hosting of the Olympics to be adding more rooms, but that’s exactly what’s happening in London. The Olympics had the intended effect of spreading the visitors to new parts of the city and hotels are needed to serve those neighborhoods. 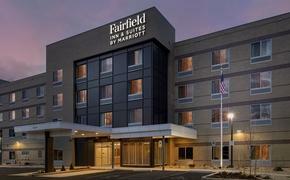 New markets are also bringing new hotels that bring services that meet their requirements. Just yesterday, London came out on top in Mastercard Global Cities Index, making it the world’s most popular city by head visitor head count, ahead of Bangkok and Paris. London is expected to reach 18.7 million this year. 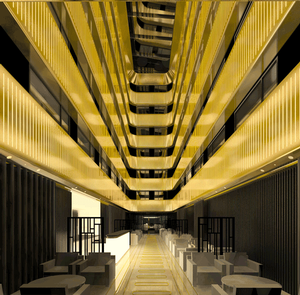 Though it won’t open until Sept. 30, Morgans Hotel Group is already taking reservations for the 359-room Mondrian London at Sea Containers on the capital’s South Bank. The hotel, which is the first Mondrian-branded boutique hotel outside of the U.S., is opening in London’s revitalized South Bank in the Sea Containers building. 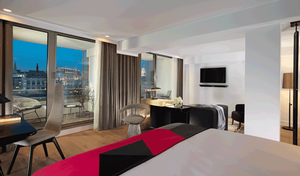 PHOTO: The lushly appointed rooms at the Mondrian London work hard to compete with the exquisite views. South Bank is also home to such new attractions as Tate Modern, Borough market and the Southbank Centre. The hotel will offer river and city views as well as two new bars, a restaurant and an atmosphere that hopes to reflect the vibrancy of the up-and-coming neighborhood. Designer Tom Dixon took the “Golden Age of Transatlantic Ship Travel” for his model. The AGUA Spa will collaborate with niche wellness brands and experts that include Soveral, Dr. Jackson’s Natural Product, Estelle & Thild, GLAMGLOW Mud, Natura Bisse and CIATE. The spa hopes to conjure up the social atmosphere of a Roman bathhouse. Room rates start at £195 per night plus VAT. A preview rate of £165 plus VAT will also be available on selected nights for a limited time. The hotel will try to become a hot spot in that neighborhood with its bars and restaurants. The hotel hired New York chef Seamus Mullen, and will open “Dandelyan,” a seasonal cocktail bar with Ryan Chetiyawardana. Mullen opened his first solo restaurant Tertulia in Manhattan in 2011 and was a James Beard Award finalist for Best New Restaurant the same year. In 2012 he published his first book “Hero Food” and opened tapas bar El Colmado at Gotham West Market New York in 2014. Chetiyawardana has been involved in several of the UK's best bars for over a decade. He appeared in Wallpaper’s “Next Generation” list in January 2014, has been shortlisted for Zagat’s’ “30 Under 30,” and is a member of the Guild of Food Writers. He has recently opened two “Mr Lyan” bars – Henry at the Hudson hotel in New York, and White Lyan — the first cocktail bar in the world to feature no perishables — in East London. PHOTO: The Cadogan will close in August and reopen with a new sparkle in 2016. The Cadogan Estate sprawls across 93 acres of London’s most prime real estate in Chelsea and Knightsbridge. It’s been owned by the same family for more than 300 years. That’s a little like imagining a New York in which Aaron Burr still owned Greenwich Village. Earlier this week Belmond (the former Orient Express) agreed to manage The Cadogan, a 64-key hotel on Sloane Street in London’s Chelsea district. The hotel will close until the summer of 2016 for a $48 million top to bottom renovation. 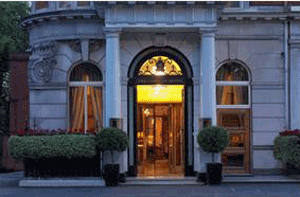 When it reopens, the 127-year old hotel will be the Belmond Cadogan. Architects will refurbish all public spaces and enlarge rooms bringing the total from 64 to 54 rooms. In June, Dorsett Hospitality International soft opened its first hotel in Europe, the 317-room Dorsett Shepherds Bush in West London. What a turn of affairs! Just as London built the Peninsula in Hong Kong back in the day, today Chinese investors are building in London. Thus it was altogether fitting that the soft opening was celebrated by a traditional Chinese lion dance in homage to the company’s Chinese roots. The group manages 18 hotels in Asia (China, Hong Kong, Singapore and Malaysia). Shepherd’s Bush, home to Europe’s largest urban shopping center, the Westfield Shopping Center, is a perfect fit for the shopping loving Chinese market. The seven-story hotel is set within a Grade II listed building, originally known as The Shepherds Bush Pavilion, formerly a cinema, built in 1923. Dorsett Shepherds Bush retains the buildings historic façade with added contemporary elegance within. PHOTO: The Dorsett Shepherds Bush atrium has the feel of an Asian property. Five room categories and plenty of opportunities to interconnect rooms covers the needs for a diversity of room styles. Two restaurants, the first, Pictures, offers a typical brasserie menu complimented with a selection of Asian dishes and the second, a fine dining Chinese restaurant. The Pavilion spa has four treatment rooms offering non-invasive, results driven face and body treatments, open to guests and local residents in conjunction with holistic and Chinese treatments to relax and revive. Dorsett Shepherds Bush is offering a special introductory rate of £123 per night until the end of August, including VAT and breakfast. 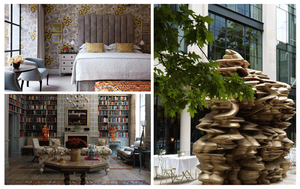 Firmdale Hotels' eighth London property, the Ham Yard Hotel in Soho has created a public space and built a hotel around it. The hotel is centered by a public square, home to five massive oaks, a bronze sculpture by Tony Cragg and 13 handpicked specialty shops. Brands invited to retail in the space include florist, Bloomsbury Flowers and Australian homeware & jewelers, Dinosaur Designs. The square not only gives the property a heart and center, it opens up historic Ham Yard and Denman Place, breathing new life into this once neglected corner of Soho. Interconnected to all this is the new built 91-room hotel and 24 residential apartment property. 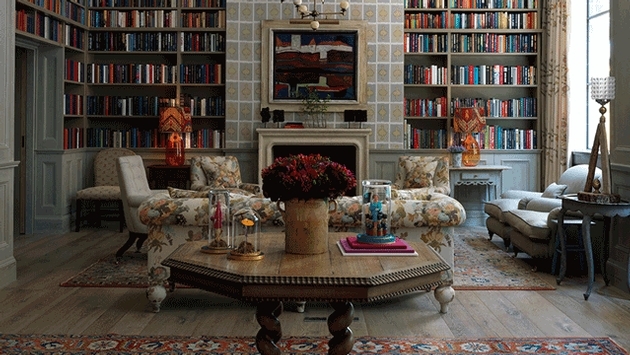 PHOTO: Ham Yard hotel offers up hospitality with an artistic bent. A member of Design Hotels, the hotel has a drawing room, library, spa, 188-seat theater and an authentic 1950s bowling alley. A rooftop garden seals the deal. The hotel attempts to create an urban village with spaces conducive to mingling guests and locals. The Croc is an original 1950s bowling alley imported from Texas, named after the three driftwood crocodiles which adorn the walls. The Ham Yard Bar and Restaurant offers a menu focused around fresh, simple dishes. A gym, which features a hypoxic studio for altitude training, is joined by the Soholistic Spa. The spa uses a comprehensive range of highly advanced products and treatments created by Temple Spa to combat the strains and stresses of frequent travelling and demanding, fatiguing lifestyles.